Fantastic, yes is a new game studio that has certainly hit their first release on Android right out of the park. That game is Returner 77, and it is an engaging sci-fi graphic adventure puzzler that stands on the shoulders of giants quite competently thanks to its stellar puzzle design and high production value. Your job as the 77th Returner is to save humanity by exploring a mysterious alien spacecraft that could very well be the key to your success. If you have ever played through similar titles such as Myst or The Witness, you should have a good idea what to expect from Returner 77. Like most graphic adventure games, you will spend the majority of your time collecting essential items and then using them to solve challenging puzzles. Right at the start, you are dropped into an alien craft after quickly learning the entire population on Earth has been wiped out. On top of that, it is now your job to figure out how to awaken the 8000 sleeping survivors who were sent into space as a failsafe from the complete annihilation of the human race. Obviously, you will have your work cut out for you. The first thing you will notice about this release is that it's gorgeous. Once you see the graphics in motion it will be clear that no expense was spared for its design. They are displayed in 3D, which allows natural exploration from any angle. This is why the touch controls work so great. All you have to do is swipe on the screen for a 360° view of your surroundings, and once you find an area of interest, you can double tap on that location to get a closer look, which is also how you will dive into the game's many puzzles. These puzzles are mainly made up of pattern matching or maze solving, which can get slightly repetitive but still retains plenty of challenge. As long as you think about each puzzle logically, they can be solved with just enough of trial and error to keep things interesting. So if you were worried that there might be a few puzzles that require "outside of the box" thinking, rest assured everything here makes sense, even if it doesn't appear that way at first. But if you do get stuck, there is both a hint and auto-solve system that will help you quickly get out of a jam. This way anyone can enjoy the story without stressing too much over the puzzles. You can pick up Returner 77 today for the one-time price of $4.99, and there are no advertisements or in-app purchases included. Despite the honest monetization, there is one glaring omission with this release. Google Play Games Services are supported with the inclusion of an achievement system, but cloud saving is absent. To me this seems a little lazy. In this day and age cloud saving is a must, and not including it in a premium release is getting more and more difficult to defend. My time with Returner 77 has been very positive. The graphics are drop-dead gorgeous, the controls work great on a touchscreen, the puzzles never got too "samey," and the story is intriguing enough to keep the player interested throughout its entirety. Plus the upfront monetization is always a welcome sight. Whether you enjoy graphic adventure games for their story or just want to dive into a bunch of challenging puzzles, Returner 77 should have something that appeals to you. And for a debut game from an unknown studio, I must say, I'm looking forward to seeing what Fantastic, yes releases next. Fantastic, yes is announcing the official release of Returner 77, after testing the soft-release of the game in the market in late 2017. The 3D puzzle game brings premium graphic experiences to mobile devices, and after proving that console quality cinematic experiences are possible on mobile, the studio is already going after a second game. The final chapter is a free update to all previous players, and completes the first part of the Returner story. The chapter “The Den” increases the overall play time of the game by over 30%. Fantastic, yes saw positive reception of the first game and recently announced a partnership with 3D animation company M2 Entertainment. The studio is now announcing that the second game within the Returner 77 Universe is already in development. The new game will release this summer - and is set to be a hybrid puzzle adventure game with new elements and life. The Returner games are set in space, after an alien war devastated earth. As a last effort to save humanity, 8000 sleepers were sent into space with 77 Returner agents tasked to call them back when the time was right.t Returner 77 follows the last returner, who awakes docked to the alien ship and discovers that only two returners remain to carry out their mission. 77 needs to follow the mysterious messages left behind by Colonel Ling, Returner 76, to find out if they can still complete their mission. About Fantastic, yes: Fantastic, yes is a mobile gaming studio founded in 2016, based in Copenhagen, Denmark. The studio creates fantastic cinematic mobile games with a focus on 3D puzzlers. 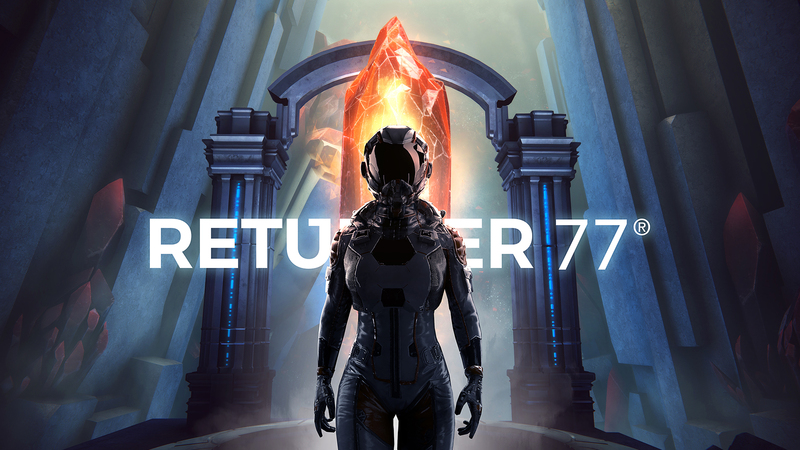 The first franchise of games from the studio starts with Returner 77, an iOS sci-fi puzzler with ground breaking graphics and an immersive storyline.